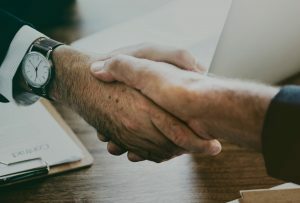 How to Make the Most of Your Contract Manufacturing Partnership - Means Engineering, Inc.
Companies everywhere strive to keep costs low. Reducing costs on manufacturing increases profits and allows for better allocation of funds. When looking into ways to cut costs, one of the decisions business owners should consider is whether or not to outsource some or all of their production. Outsourcing allows organizations to create a wide range of products without having to acquire the space, people, equipment, and technology needed for production. This significantly reduces the amount of money spent on producing new products. In addition to reducing production costs, utilizing the help of a contract manufacturer during the design process helps locate unique ways to further reduce costs and improve quality. Quality contract manufacturers have years of experience. They have access to the latest equipment and technology. They understand how to leverage best practices to ensure the quality and consistency of every product produced. There are numerous benefits to working with a contract manufacturer. Perhaps the most important is that it frees up time and resources so that leaders can focus on other important aspects of the business. Just like every other factor in business, organizations should ensure they get the most out of their contract manufacturing partnership. This begins with contract negotiations. It’s crucial that the organization and the CM agree on mutual terms. The contract should establish certain milestones to allow for adequate monitoring of each project’s progression. During negotiations, it’s important that the organization understands the limitations of the CM. They should negotiate a solid contract that ensures a mutually profitable relationship. Contract manufacturers work with their clients to help them succeed. Organizations should take the time needed to build a mutually beneficial and long-lasting relationship. One of the biggest benefits of outsourcing is that it allows businesses to increase the quality of finished products. This is why it’s so important to work with an experienced contract manufacturer that has a quality management system in place. Means Engineering is registered to both ISO 9001 and AS 9100. Companies with these certifications must meet strict requirements for quality control. Our team has years of experience working with a wide range of industries. We provide comprehensive solutions including design, production, and testing of products and components.